The Rebel Sweetheart. 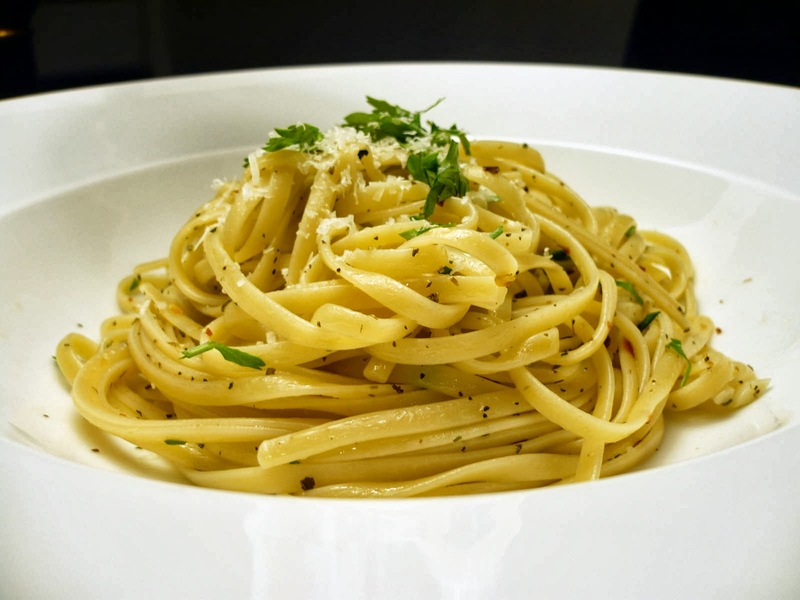 : Foodie Goodie | Spaghetti Aglio Olio. Weekends are for watching old Korean dramas. At least that's what they are, for me. And the past weekend saw me finishing 'Pasta' - all twenty episodes of it. This hit romantic comedy series, which aired in 2010, revolves around the life of Seo Yoo Kyung (portrayed by Gong Hyo Jin) and her dreams and struggles to become an elite chef. Lee Sun Kyun and Gong Hyo Jin in Pasta. After watching this drama, I was prompted inspired to do two things - have my ears pierced near the cartilage - in the style of Gong Hyo Jin, and cook Spaghetti with Olive Oil and Garlic ala Choi Hyun Wook (the male lead, portrayed by Lee Sun Kyun). I've never cooked Spaghetti Aglio Olio before, so I did a bit of research and came across this recipe from the Food Network. The ingredients are pretty basic, and this dish takes very little time and effort to cook. It's perfect for days when I'm in the mood for pasta but don't want to go through the whole process of chopping and slicing and prepping ingredients, lol. 1. Bring a large pot of cold water to a boil over high heat, then salt it generously. 2. Add the pasta and cook, stirring occasionally until al dente, tender but not mushy, about 8 minutes. 3. While the pasta cooks, combine the garlic, olive oil, the 1 teaspoon salt, and red pepper flakes in a large skillet and warm over low heat, stirring occasionally until the garlic softens and turns golden. 4. Drain the pasta in a colander set in the sink, reserving about a 1/4 cup of the cooking water. 5. Add the pasta and the reserved water to the garlic mixture. Mix well. 6. Add the parsley and lemon zest. Adjust seasoning, to taste. 7. Transfer to a large serving bowl or divide amongst 4 to 6 dishes. Serve topped with grated cheese, if desired. Pasta is my favorite go-to for quick dinners at home. Thanks for another fabulous recipe to add to my collection! Ooh that looks delicious! I'm going to try that for dinner tonight! Thanks for the fab idea! and recipe! Love Pasta and Love Asian Film. I will have to check out this Korean TV Show it sounds good. Not so sure about the piercing. I love this for dinner! My son likes pasta and parmesan only combi so those left over are garnished with evoo, lemon, and whatever fresh herbs I have in the kitchen. simple and nourishing! I knew I was going to love this when I saw it on Twitter. It's nice and light, and I bet it's tasty too! I love aglio olio and that recipe looks easy enough! We'll give it a try at home yay. very nice pierce sis! 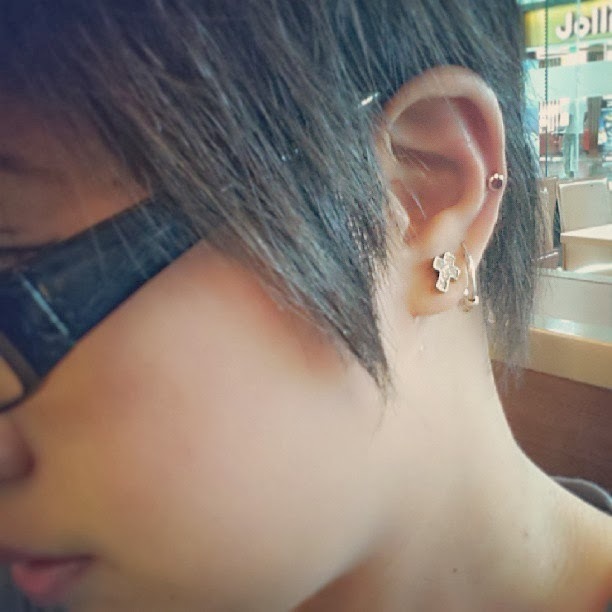 i have din bought my ears then tounge pierce din since i was in high school hehe i am avoid candies coz it gets a bit itchy specially those menthols. though i dont put them earrings now. love the eating pasta! i guess i've been cooking them since i've met my husband. I love aglio oglio! :D It's one of my most favorite pasta dishes despite its simplicity. When done right, it tastes amazing! Anyway, nacurious naman ako sa kdrama na yan. Nakakatakam ang title! Haha! It sounds (and looks) delicious! Definitely going to try this out soon. Looks like a really tasty spaghetti and that makes me hungry now.